Rails Set New Record at State Meet! 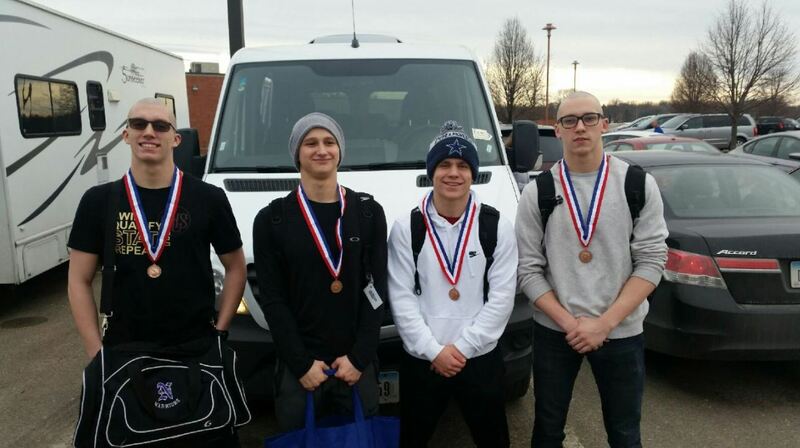 The Rails ended the season by competing at the State Meet in Marshalltown on Saturday (2/11). The Rails started out hot, rebreaking the Medley Relay (Greenwood, Whitehead, Worth, Clark) record from the week before, finished 11th and earned medals! The final time of 1:38.72 is not only the fast time in school history. It’s also the first time that a Rails Medley Relay was faster than 1:40. Tyler Whitehead also split his fastest time ever for his 50 Breaststroke – a 27! Following that, Devin Greenwood finished 23rd in the 50 Free and 15th in the 100 Back. Cooper Worth took 19th in the 100 Fly. The 400 Free Relay (Clark, Worth, Greenwood, Santiago) finished 23rd. All in all – it was great to see the Rails represented at the big meet for nine straight years! The team had a ton of success this year, including making some school history!